The Government of UK has reportedly announced that it plans to impose a new 15p tax on sandwich packaging as part of its ongoing effort to cut down upon plastic waste. Reports cite, the tax could be levied as early as the end of the week by the Secretary of State for Environment, Food and Rural Affairs of United Kingdom, Michael Gove. 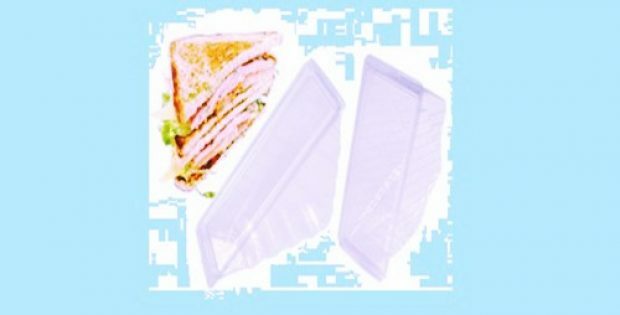 According to a report by The Sun, the Environment Secretary intends to recover the cost sandwich packaging that cannot be recycled because the cardboard used in the packaging and the plastic window are glued together. This particular type of package is one of the least recyclable plastic products sold by supermarkets as well as high-street shops in Britain. Sandwich making companies across the United Kingdom reportedly using such poorly designed packages for their sandwiches would be required to pay the 15p tax once it has been passed. The CEO of the Recycling Association, Simon Ellin stated that manufacturers as well as retailers of such products utilize packaging that are designed in an extremely unaesthetic manner. Ellin further added that the upcoming move would result in a 10p to 15p increase on the price of the sandwiches, which on an average cost around £2.14 apiece. Reportedly, approximately 4 billion sandwiches are sold across the United Kingdom on a yearly basis with the industry in the UK employing about 300,000 individuals. Moreover, the waste strategy developed by the Environment Secretary, which intends to tackle the issue of 222 million tons of waste produced on a yearly basis, would also be targeting the massive amount of packaging created by delivery services as well as online retailers such as Deliveroo and Amazon. According to reports, the strategy also includes a provision to double plastic bag tax to about 10p as well as imposing £400 spot fines on households that are illegally dumping plastic waste.